When it comes to bedtime tea rituals, chamomile and lavender tend to get the heartiest steeping of love. And while yes, both of those relaxation-promoting all-stars can work wonders, if it’s your stomach keeping you up, there’s another variety to consider: barley tea. A staple in traditional Asian diets, barley grass is a serious multitasker. Made from roasted barley (shocking, right? ), one serving of the tea can contain a gram of fiber, which can help to ease constipation and bloating. (And it’s a tad gentler than Smooth Move, too.) The grain also has tryptophan and melatonin, both strongly linked to encouraging good sleep. While those two benefits alone are enough to make it a tea drawer staple, they are just the beginning. Below is a comprehensive list what barley tea can do for you—check it out. Keep reading for more benefits of barley tea, plus how to brew the perfect cup for your cozy, bloat-free night in. All teas are hydrating and can help a sore throat, but barley tea in particular is anti-fungal, helping to kill nasty bacteria that makes its way into your body. Because it’s so great at killing bad bacteria and balancing the gut, it’s been scientifically linked to boosting immunity. Remember, 80 percent of your immune system is in your gut, after all. Studies have shown that barley tea can help keep streptococci (a tooth-decay-causing bacteria) from sticking to your teeth. Instead, the healthy beverage works to keep the bacteria from colonizing and camping out in your mouth. Of course, you should still brush your teeth before bed though (with triclosan-free toothpaste! ), as tea can stain your teeth. Barley tea contains vitamin A and C—major antioxidants. This means that if you work out on the reg, this tea could just be your secret weapon. Pack this baby in your carry-on next time you have a long flight, because scientists have linked it to escalating your blood flow. So if you’re in a situation where you aren’t exactly doing much to keep your circulation constant—like chained to your desk at work, pulling an all-nighter, or on an international flight to a restorative vacay—barley tea might just be your saving-grace beverage. Another major pro for barley tea is that there aren’t any common side effects from drinking it. (Besides having to pee in the middle of the night, but that’s true of anything consumed before bedtime, TBH.) The one exception: If you have celiac disease or a gluten sensitivity. Barley is, after all, a grain, so if gluten isn’t your friend, this isn’t the tea for you. You can reap all the sweet benefits of barley tea with just two ounces of the all-star ingredient. Prepare your hot water as usual, using a teapot or heating a mug of hot water in the microwave. Afterward, add the tea bag of barley and let it steep for about six minutes. Then, enjoy! Because there are so many beneficial herbs in nature, the tea options that can be used to boost your health are virtually endless. Barley in particular is a great one to keep in your personal stock for digestion, sleep, and the other amazing benefits pointed out. 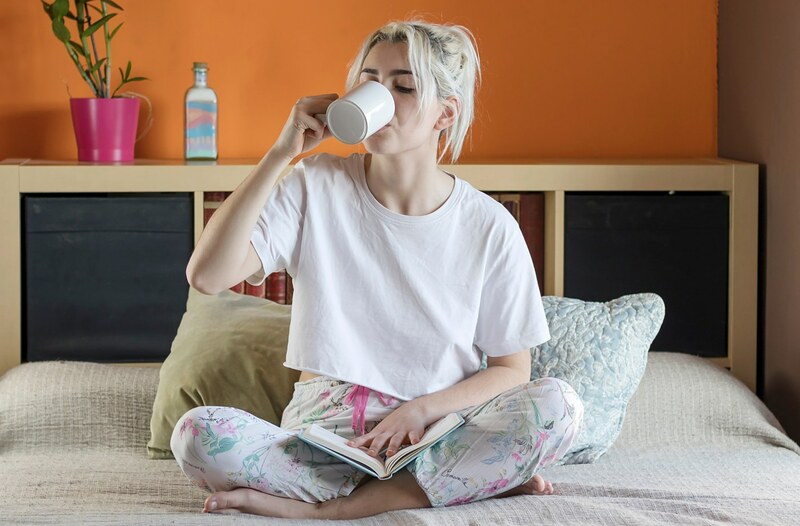 Knowing all the ways you’re giving your body a boost by incorporating the brew into your nighttime routine can help you, well, sleep soundly, knowing you did your health profile a solid. These eight foods have also been linked to encouraging good sleep—and these six might be keeping you up.